VJ Ravi is the popular young anchor and VJ in Telugu TV Show Something Special on Maa Music.VJ Ravi and co-host Lasya’s Something Special is very popular in Telugu Youth. Ravi’s father worked in Army and After 12th standard, Ravi also joined the Army. 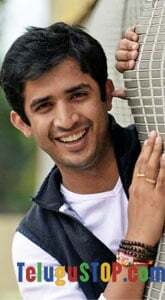 Ravi left army after six months of training near Pune and completed degree, Ravi started career as a small time choreographer and taught people some dance moves for their sangeet parties. Presently Ravi Anchoring for More TV Shows Such as One Show, Something Special on Maa, Dhee juniors on ETV, Family Circus on Zee Telugu etc. You can read complete Ravi Interview here Read More. Ravi and Lasya also hosting Kiraak Comedy Show in Maa TV. Ravi is so popular in social media,he got around 3Lakhs fans to his page https://www.facebook.com/VeryRavi,like Anchor Ravi facebook fan page Follow Anchor Ravi Facebook and stay tuned to Something Special Fame Anchor Ravi Latest Updates. Acted TV Shows : Something Special on MAA Music,Mondi Mogudu Penki Pellam,Kiraak,Ali Talkies,One Show,Family Circus etc. డేటా చోరీపై కేసులో సైబర్ నిపుణుల సహాయం తీసుకుంటున్నాం! స్టీఫెన్ రవీంద్ర!